Courtesy of MY REALTY COMPANY. Stylish downtown living with gorgeous open city views and at an adjusted affordable price. This spacious condo in Regency House has been updated with large neutral tile new 2016 and hurricane-grade windows throughout. It is superbly located across from Bay Front Park and Marina Jacks and enjoys expansive city views from the 8th floor. The great room layout is spectacular and offers a perfect entertaining and living space. The main bedroom is large,with a spacious bathroom & huge walk-in closet. Smaller 2nd room could serve as an office, gym or additional sleeping area. Included in the 1,200 sq ft is a convenient large storage room. New hot water heater 2016 and new A/C 2009. The spacious kitchen has Sile Stone counter tops, new dishwasher, eye level oven & new extra-large cook top for ease of cooking. There is a spectacular new parking lot with assigned spaces. Regency House is a well-maintained and well-managed property with excellent security that provides luxury living in a perfect location. There is 24-hour concierge service, a large heated pool, club and exercise rooms, and newly renovated lobby 8211; Enjoy the rich cultural amenities of Sarasota and its fine dining, galleries, shops, opera, theater, Whole Foods, Selby Gardens, Farmer’s Market, Burns Court, festivals, boat races and more, all a few minutes walk away. Convenient to the airport, Famous St. Armand’s, Lido beach and & Siesta Key beaches. WASHER AND DRYER can be installed in this unit……Just passed by Regency House…. 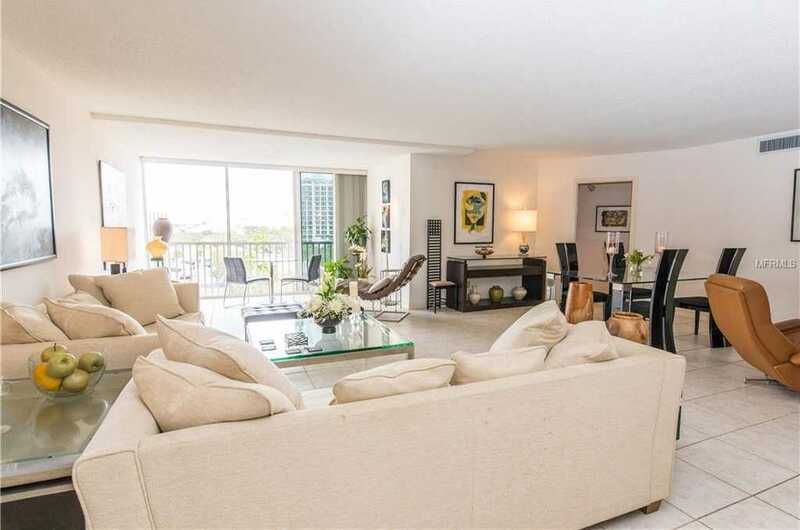 Please, send me more information on this property: MLS# A4426884 – $345,000 – 435 S Gulfstream Ave #807, Sarasota, FL 34236. I would like to schedule a showing appointment for this property: MLS# A4426884 – $345,000 – 435 S Gulfstream Ave #807, Sarasota, FL 34236.